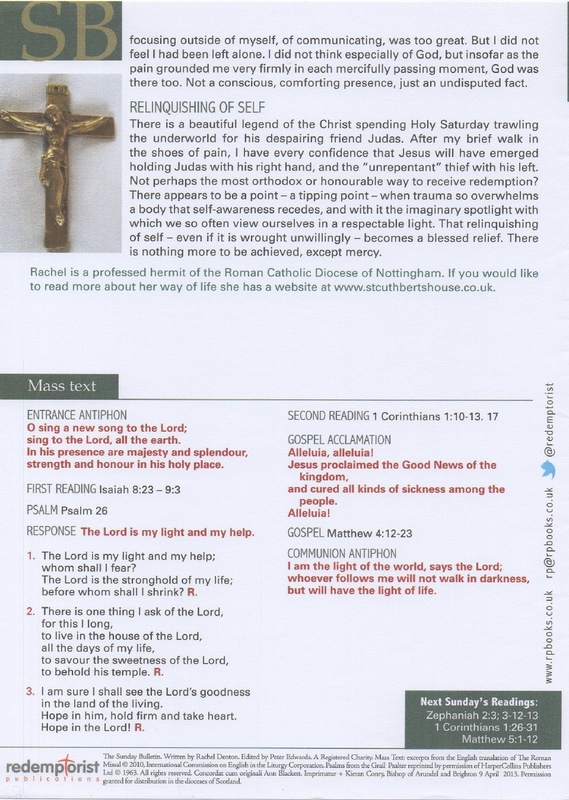 Redemptorist Publications: Sunday Bulletin, Jan 22, 2017. Living through Sickness: Pain. 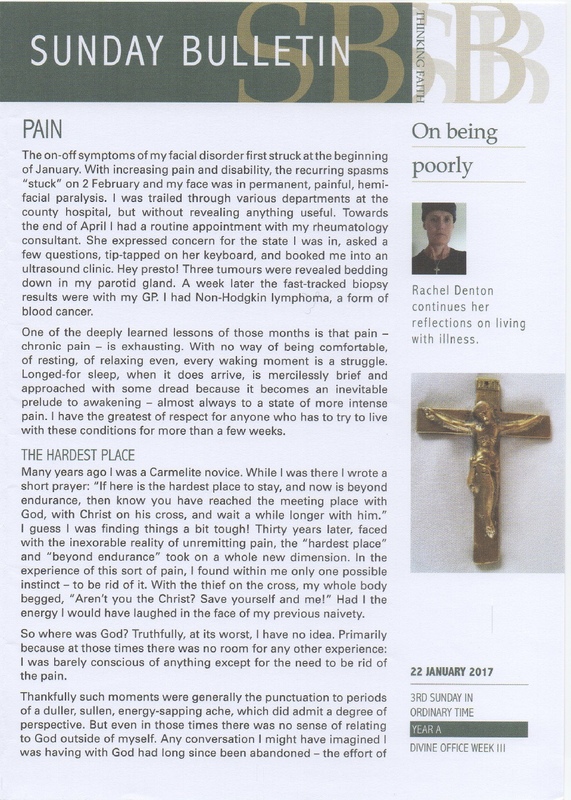 Rachel Denton reflects on living through a diagnosis of serious illness and subsequent treatment. How does such an experience affect the life of faith?